Ansteel Australia Pty Ltd is the wholly owned subsidiary of Angang Group in Australia. Our businesses include Steel Products, Mechanical and electrical products, Equipment & Spare parts of Mining, Iron Ore and Coal businesses and Engineering works. Angang Group is one of the largest steel producers in China, Main products includes Hot rolled steel, Cold rolled steel, Galvanized steel, Color coated steel, Cold rolled silicon steel, Heavy rail, Seamless steel tube, Steel bars, building materials and Stainless steel. These complete steel series of products are widely used on rail, building constructions, automobile industry, machinery, Shipping building industry, containers, home appliances, petrochemical, aviation. Our products are used in nearly 70 countries around the world. As animportant steel producer and Iron Ore & Coal trader, we has strong influence in Chinese market. Our business covers globally and annual trade turnover are among the largest in Chinese market. In addition to the above, Ansteel Group also have strong engineering capabilities. For example, Ansteel Construction Group has already provided the steel structure for some Australia’s large construction projects. Ansteel Australia Pty Ltd has served Australian communities for more than 10 years, and has been committed to work with Australian local businesses. 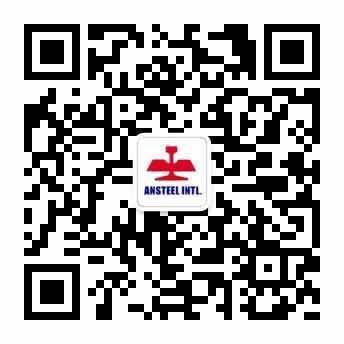 Ansteel Australia always prepares to supply our best products and technology to Australia, at the same time, introduces Australian products back to Chinese market. We are looking forward to cooperate with you.